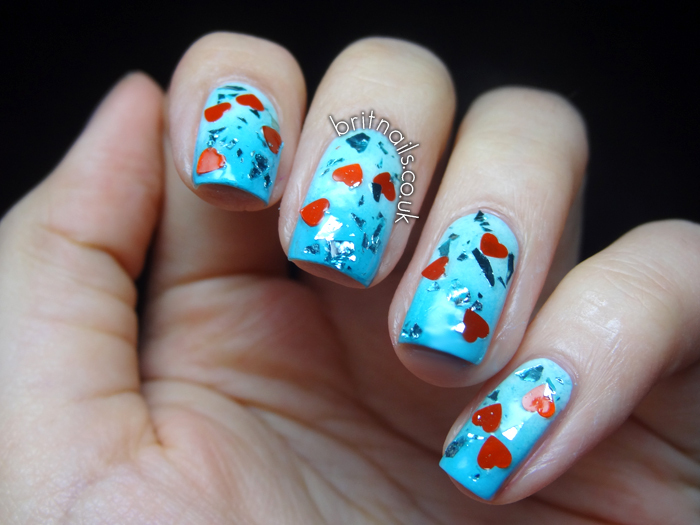 For this, I started with a base of Barry M Turquoise, and used Essie Blanc to sponge on a gradient. 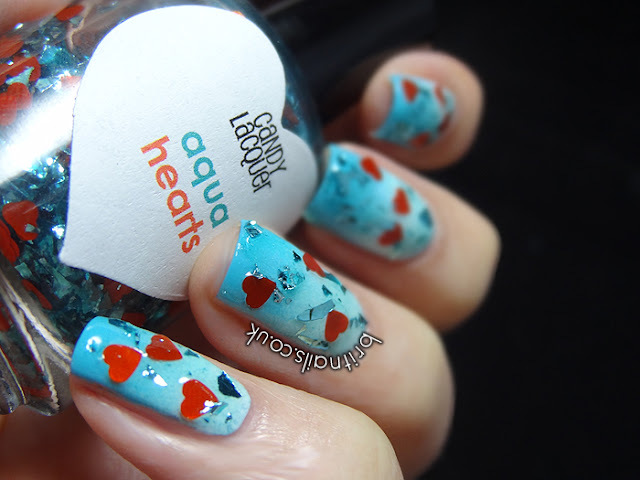 I topped it with Aqua Hearts by Candy Lacquer, which is shredded aqua foil and adorable little red hearts in a clear base. 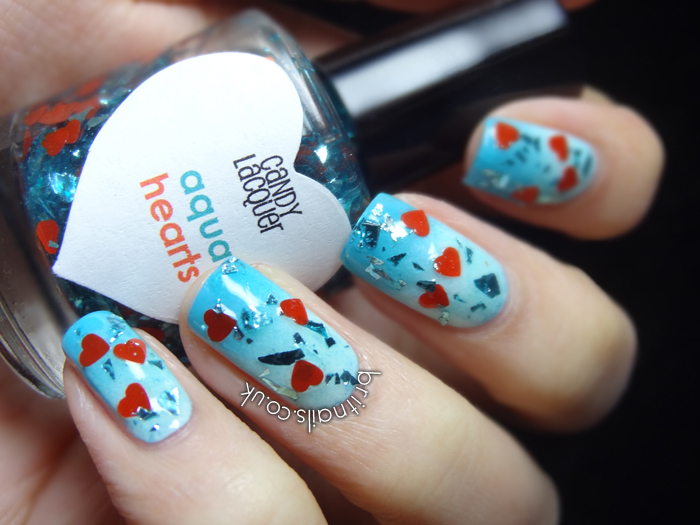 How cute is Aqua Hearts! On the tiny picture on the blogger homepage I thought these where tiny roses on vines. 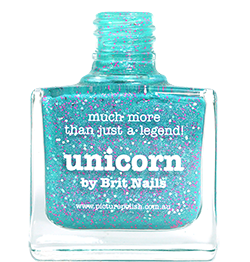 You should totally do that's they'd make for the cutest nails ever!! These being a very close second.. Haha! I am LOVING this gradient! 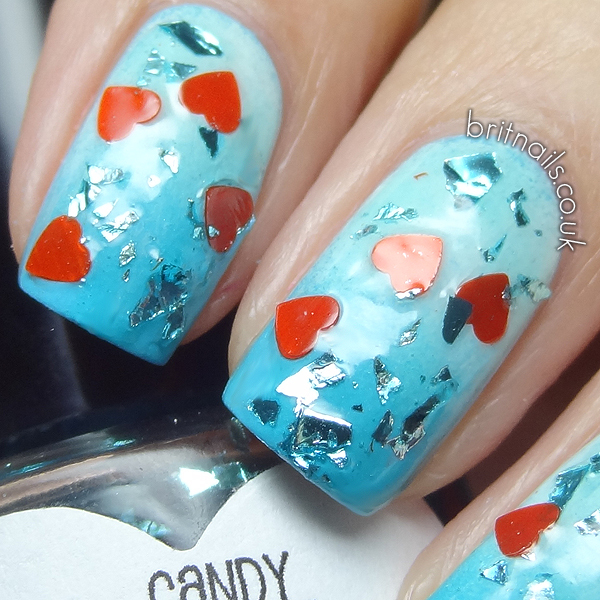 The red hearts really pop over the blue!